As with all organisms, a tomato’s primary objective is to reproduce and carry on its genetic line. Every element of the plant’s anatomy is designed to reach this goal. Roots seek out water and nutrients, which the semi-woody main stem carries through vascular tissues to the leaves, flowers and developing fruit. The large compound leaves capture the energy of the sun to fuel the growing plant, which opens bright yellow flowers that attract the attention of passing insects. Once pollinated, the sexual organs of the flowers develop into fruit, housing the seeds of the next tomato generation. 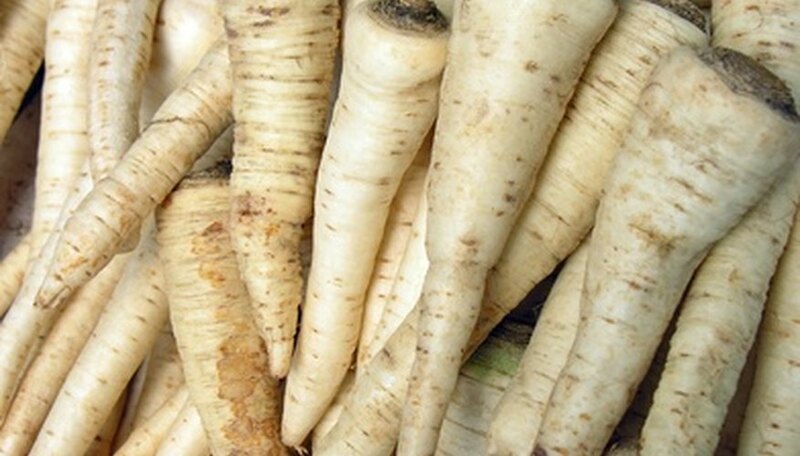 Most plants have one of two types of root systems, either a fibrous root system or a taproot system. Taproot systems feature a larger, central root from which all the other smaller roots in the system arise. Fibrous systems are more complex, with branching roots which are all roughly the same diameter in size. 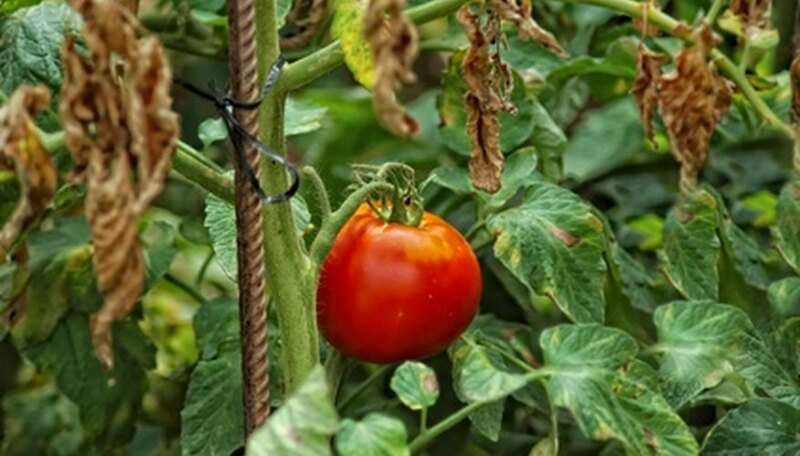 Tomatoes can have either of these root systems; plants grown from seed usually have a taproot system, where plants grown from cuttings have fibrous root systems. The main trunk of the tomato plant is comprised of three parts. The first, the shoot apical meristem (SAM), is the actively growing portion located at the crown of the plant. The second portion consists of primary tissues, newly grown stem just behind the SAM. All other stem-wood is referred to as secondary tissue, or old growth. As the SAM grows upward, the secondary tissue grows outward, expanding the lower vascular tissue to keep up with the tomato’s increasing water and nutrient requirements. 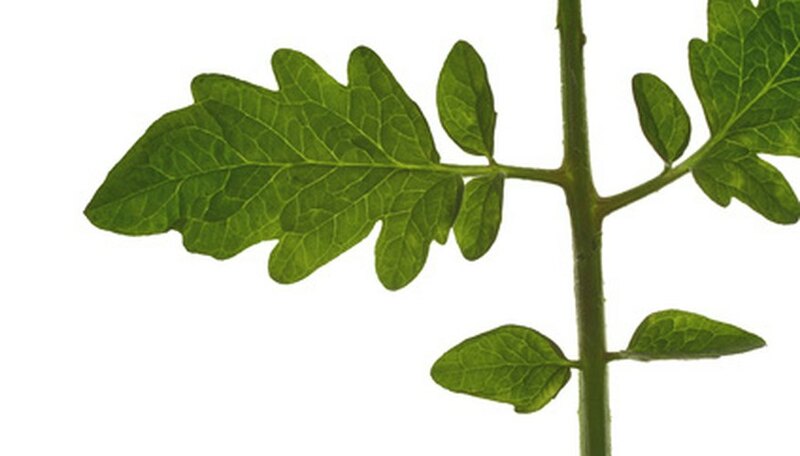 The leaves of a tomato plant are compound; that is, each branch arising from the main stem consists of a leaf, and leaflets grow along that central stem, or rachis. Where this branch attaches to the trunk of the tomato plant is known as the petiole; the stem where each leaflet attaches to the rachis is called the petiolule. Additionally, each leaflet can itself be a compound leaf, with smaller leaflets arising along the stem before terminating in a large primary leaflet at the end of this branch. 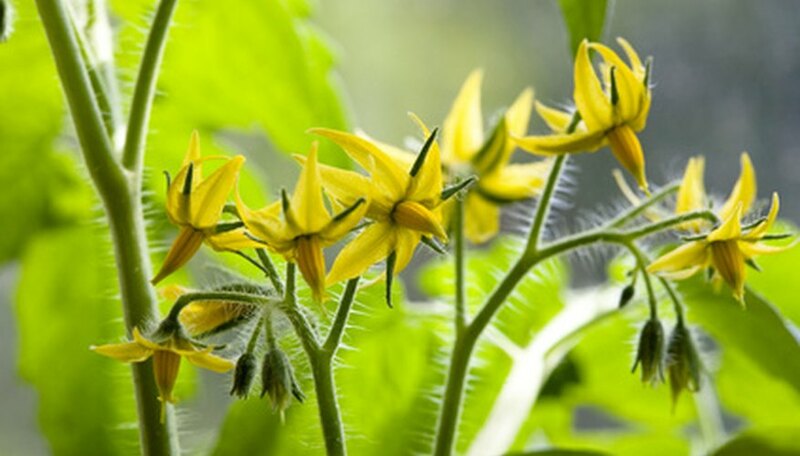 Tomato plants produce yellow flowers (usually less than 1 inch in diameter) that feature an inner, fused stamen surrounded by a corolla of outer petals. The green female reproductive carpels sit within the cylindrical yellow outer stamen, which produce pollen to fertilize the female organs. After fertilization, the carpels swell to develop into the tomato fruit. Cutting open a ripe tomato fruit, the observer sees two or more inner chambers where seeds are housed, encased in a gelatinous mass; surrounding these chambers is a denser fleshy material that is protected overall by a smooth outer wall. The interior chambers are known as locular cavities, and the dense material that encloses these cavities is the placental tissue. 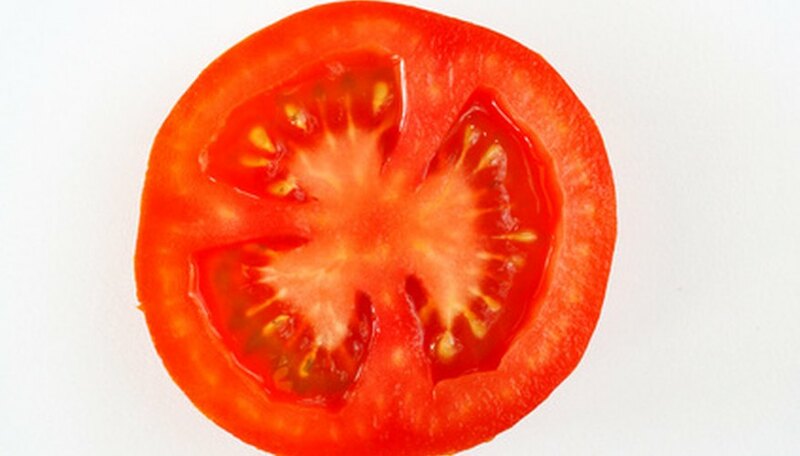 Nearer to the skin of the tomato are the vascular bundles, which carry water and nutrients to the interior of the fruit, which are enclosed in the pericarp, or outer flesh of the tomato. What Do I Use to Separate Tomato Peel & Seed From Pulp & Juice?